We also sweeten coconut milk with jaggery and flavour it with cardamom powder which is called as ‘Narla rossu’ and have it with shevai/ string hoppers. Blend the coconut in the blender adding 1 cup of water for few minutes to a paste. Place the strainer over a broad vessel and transfer the coconut paste in the strainer. 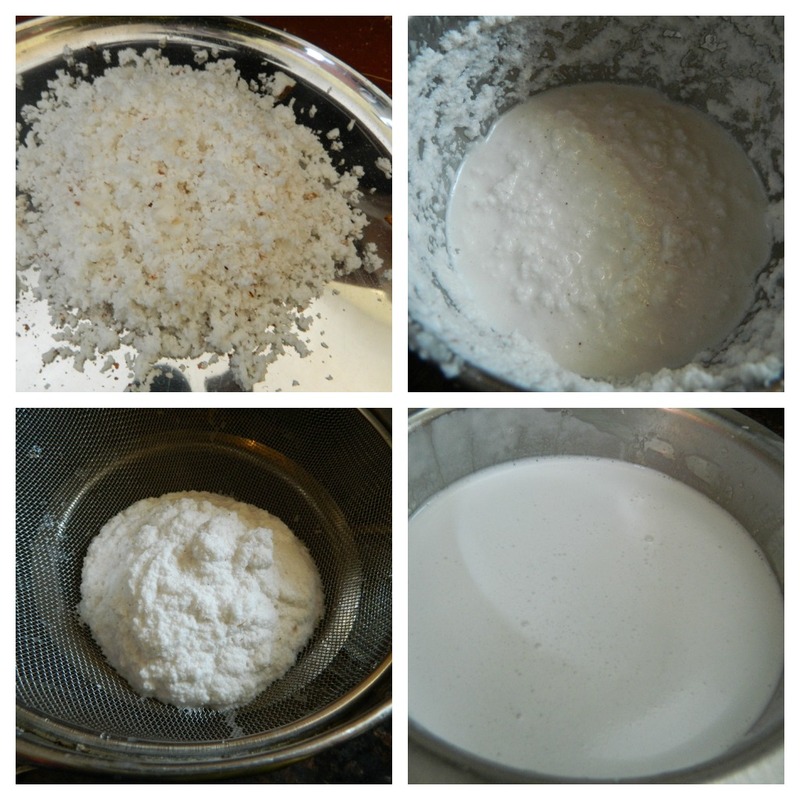 Press the mixture with your hand until the juice is fully extracted and the mixture becomes dry. Add little water to the mixture and again strain it. The first extraction what you get is the thick milk or coconut cream. Now again transfer the dry extracted coconut gratings to the blender and again grind for few minutes adding little water. 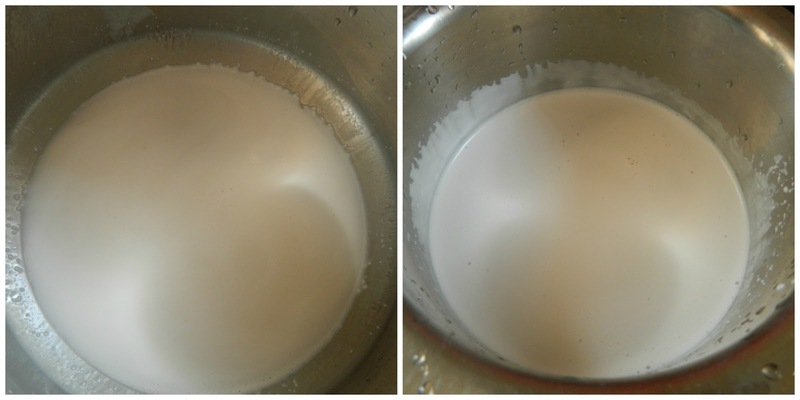 Extract the milk again in a separate bowl,now the second extract is the thin milk and it will be little watery. Strain the coconut milk 2 -3 times again and again. Thick milk will always be creamy. You may also strain the juice in a muslin or a cheese cloth. You may extract the milk not more than 3 times. You cannot Store this milk for a long time,not more than a day. You may refrigerate it for a short time.